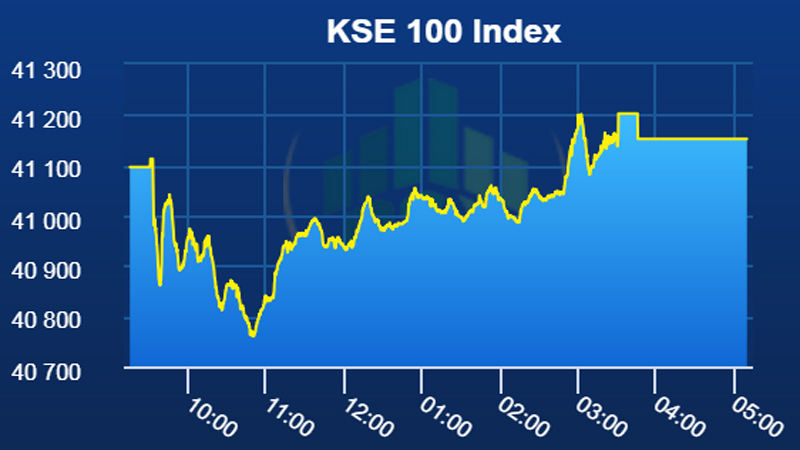 The Pakistan equities closed slightly positive on Tuesday after another range-bound session as the index made an intraday low and high of -336 points & +160 points, respectively, before closing +56 points up at 41,152 points level. An equity analyst Maaz Muilla said market will likely remain similar to outgoing week until any further developments are visible. On the economic front, The International Monetary Fund (IMF) met with the officials of Finance Ministry and Federal Board of Revenue (FBR) as initial level discussion on macro-economic framework and revenue measures were held for new bailout package. Banking space closed higher than the previous day close where big banks boosted the index by 39 points. MCB Bank gaining 1.90 percent, United Bank Limited (UBL) gaining 0.03 percent, National Bank of Pakistan (NBP) gaining 0.08 percent and Bank Alflah Limited (BAFL) gaining 0.83 percent closed in green territory. Mixed sentiment was witnessed in Cements where Maple Leaf Cement (MLCF) gaining 1.24 percent and Fauji Cement Company Limited (FCCL) gaining 0.91 percent closed in the green whereas Kohat Cement (KOHC) losing 1.47 percent, Chitral Cement losing 1.05 percent, Dewan Cement Limited (DCL) losing 1.43 percent and Lucky Cement (LUCK) losing 0.24 percent closed in the red zone. Car (including jeeps and pickups) sales in October-2018 went up by 6 percent, according to latest data released by the Pakistan Automotive Manufacturers Association (PAMA). Pak Suzuki Motor Company (PSMC) gaining 2.07 percent and Indus Motor Company gaining 0.21 percent were the major movers of the aforementioned sector. Mulla expects the market to depict a similar trend, therefore recommend investors to see any downside in the market as an opportunity to buy in cement, consumer and banking sector.